When the JSS Dauntless vanished in the middle of system tests during its maiden voyage, no one knew what had happened. A radical theory by one of the test scientists resulted in a hasty refit of the JSS Endeavor, Dauntless's sister ship, which was still under construction. Now the crew of the Endeavor are about the test whether this theory is true or not. Will they suffer the same fate as the Dauntless, or will they discover a way to open the galaxy for exploration? Discovery is the first novel by author Tom Stephens. Set in an alternate universe, it chronicles the challenges and trials associated with the accidental discovery of faster than light travel and humanity's first interstellar journey. 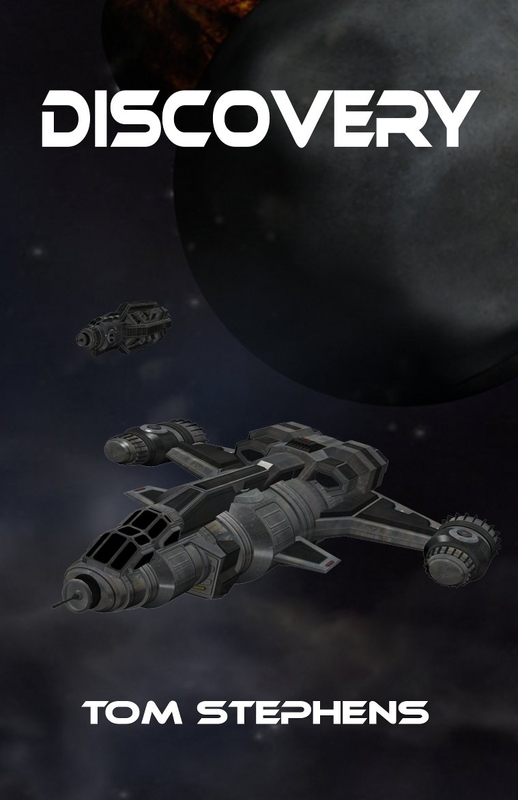 Discovery is a free e-book that can be downloaded in PDF, mobi, and e-pub format below. If you would like a printed version of the book you can order one from the product page on DriveThruFiction. Permalink Submitted by fyqew on Mon, 09/24/2018 - 06:21. Discovery for that vanished system that was disappear from the long and unexpected thing before the whole use of it now. Formats and under explorations of assignment writing reviews websites are discovered with vanish able radicals. Permalink Submitted by newdobre on Wed, 03/06/2019 - 06:38. Thank you so much for this detailed description, it's exactly what I need to find instagram search I look forward to seeing more updates from you.